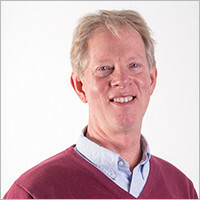 Bruce Bradtmiller joined Anthrotech in 1983 as a research assistant. After nearly a decade of hard work and growth, Bradtmiller and spouse Carol Cottom purchased the company in 1992, and he became president at that time. During his time at Anthrotech, Bradtmiller, along with domestic and international colleagues, has refined or developed many of the measurement techniques that are in standard use around the world. He is a US expert appointed to the International Organization for Standardization (ISO), and in that context updated the most recent edition of ISO 7250-1, which is the standard defining anthropometric landmarks and measurements. Previously he was the Division Chair for Standards at the Human Factors and Ergonomics Society, coordinating standards activities across the society. He has directed projects for military clients including the U.S. Army, Navy and Marines – and commercial firms. Among those commercial projects was 3D scan work that improved fit and comfort of wearable technology products for the wrist, ears, eyes and head. He has done work for entities in Japan, Republic of Korea, Luxembourg, United Kingdom, Australia, and Canada, sometimes from his home base in Ohio, and sometimes onsite at the client’s location. Bradtmiller holds a B.A., M.A. and Ph.D. in Anthropology. He studied at both Indiana University and Northwestern University, where he obtained his post-graduate degrees. Before joining Anthrotech, Bradtmiller was a lecturer, guest lecturer and assistant professor at multiple universities. At The University of Tennessee in particular, he conducted paleopathological research and developed a new course on the subject. Over his career, Bradtmiller has earned many notable awards and accolades. Along with colleagues, he won a 2002 Liberty Mutual Prize in Occupational Safety and Ergonomics, a 2006 Alice Hamilton Award for Excellence in Occupational Safety and Health, a 2006 Bullard-Sherwood Award for Research to Practice, and a 2008 Best Paper Award for a presentation he made to the International Congress on Physiological Anthropology. He is widely published on various topics related to anthropology. When he is not working, Bradtmiller – an experienced gourmand – can be found enjoying an espresso or singing in two choruses. And, ask the Grand Dude about his grandkids! Anthrotech’s permanent research and support staff is highly skilled in a variety of areas. They work with principal investigators to gather, edit, and apply anthropometric data. Specialized capabilities represented in the group include statistical analysis, scanner operation, computer literature searches, and report preparation, production, and marketing activities. Between them, the members of the Anthrotech team have over 125 years of experience in their fields of expertise. While additional staff is added as needed for specific projects, the core group works with management in seeing all projects through from preliminary planning to final reporting.